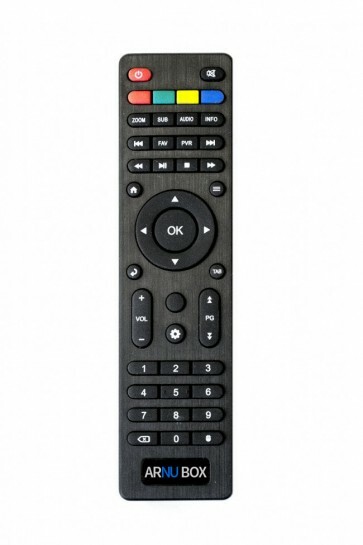 ARNU Box IR Remote V2 | The Best Prices On Tech! Check out the brand new ARNU Box IR Remote V2. Fully mapped and great to use on the ARNU Box Mach 8, Mach 10 and Mach Q Pure Linux! Please note that this remote is currently fully mapped for the ARNU Box Mach 8, Mach Q and Mach 10 Pure Linux only. All standard buttons will work on the ARNU Box Mach 8 and Mach 10 Android but some buttons are not mapped and functioning yet.